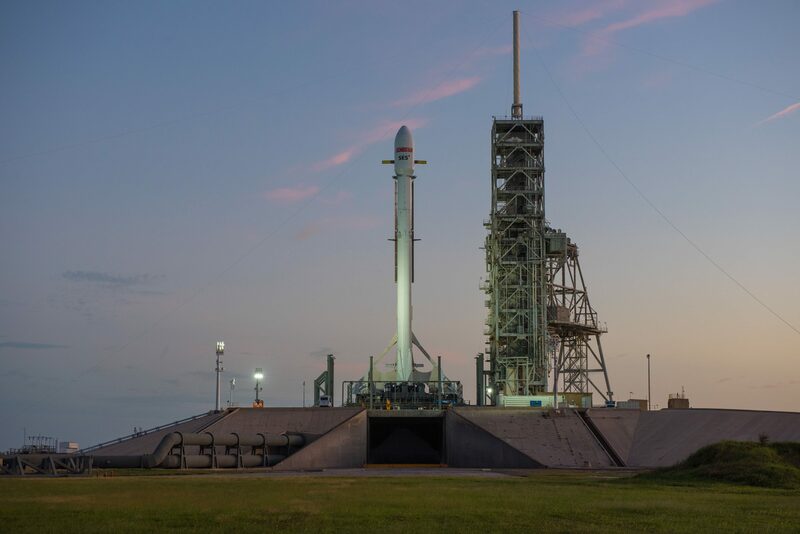 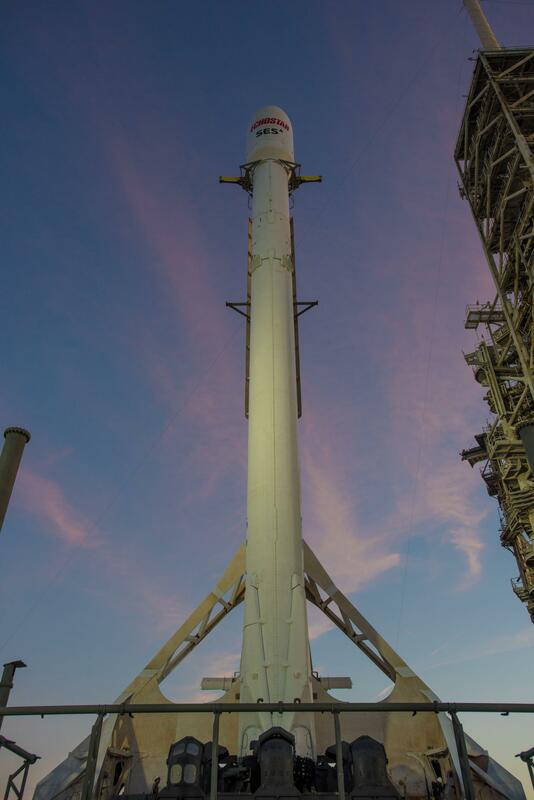 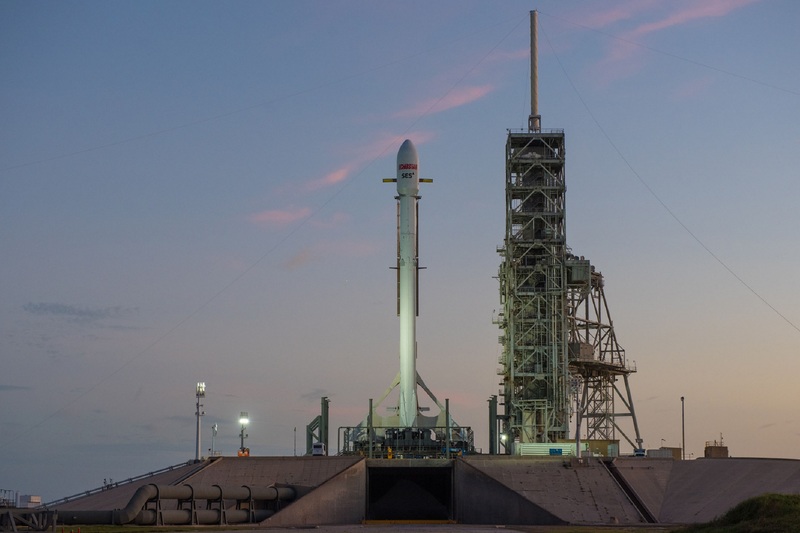 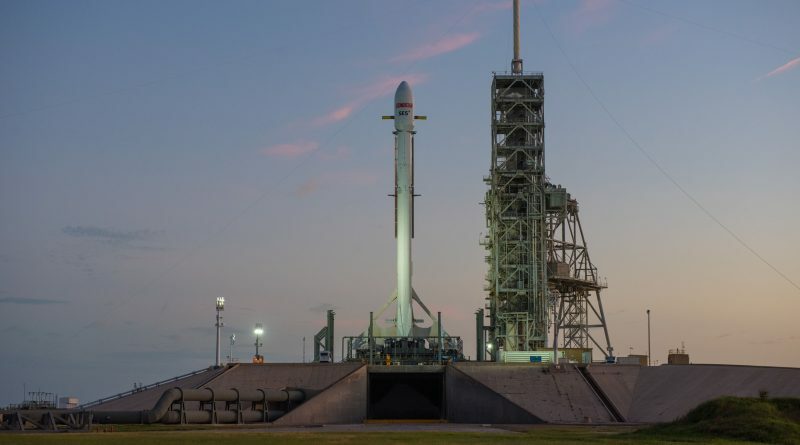 A SpaceX Falcon 9 rocket was moved to Kennedy Space Center Launch Complex 39A on Tuesday and took its vertical launch position in the afternoon hours in preparation for a liftoff at sunset on Wednesday. 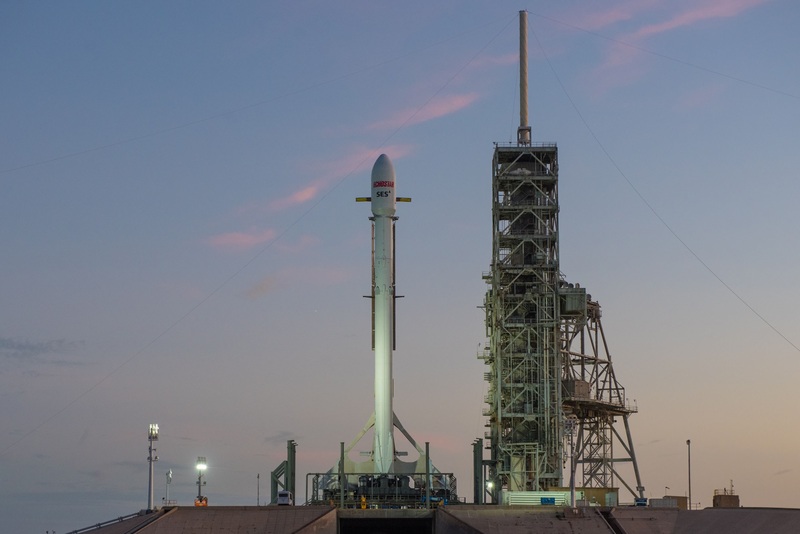 Pushed from Saturday, the SES 11 mission had to overcome an unspecified engine-related issue on its first stage which is aiming to become SpaceX’s third booster to complete a second trip to the edge of space in an operational mission. 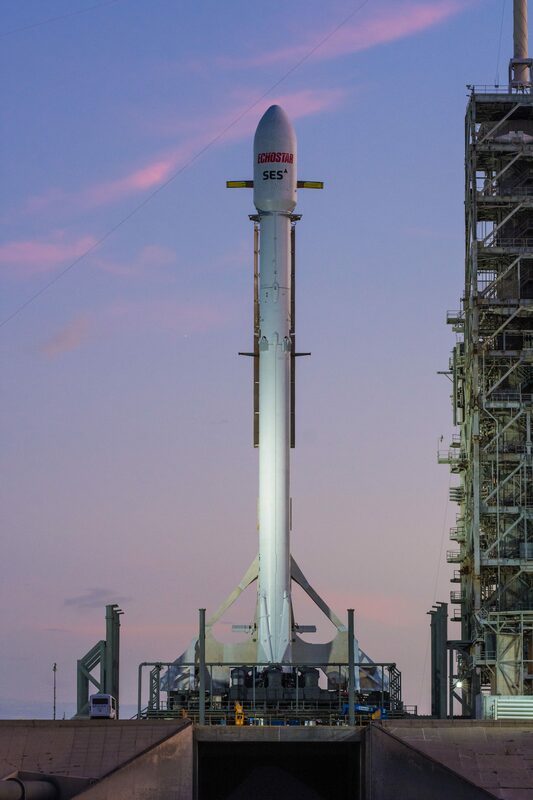 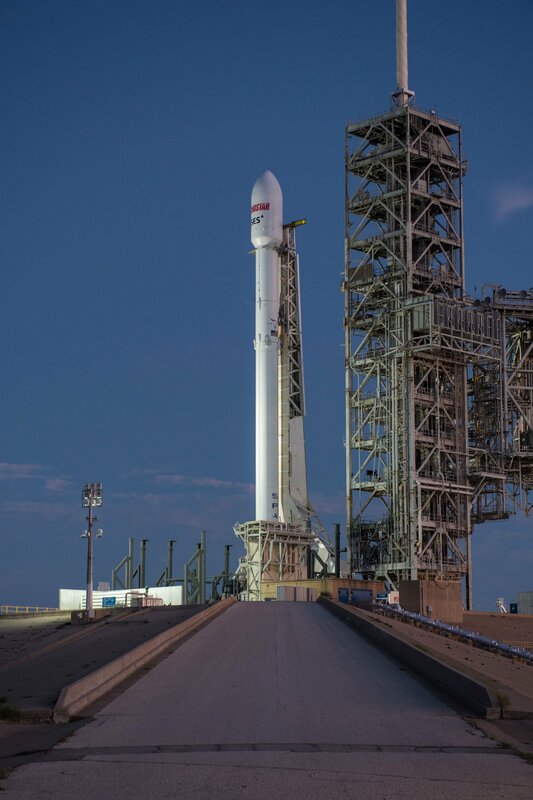 Wednesday’s two-hour launch window opens at 22:53 UTC and Falcon 9 will be in action for 36 minutes to send the 5,200-Kilogram satellite on its way into a Geostationary Transfer Orbit while the first stage will only be traveling for eight and a half minutes, aiming for a sporty landing on the ‘Of Course I Still Love You’ Drone Ship.